A price that's hard to 'Beat'? A price to tempt you? The LG G3 Beat (a mini-ish LG G3) was made official earlier this week and we've now got our first sighting of a price. It's been priced by none other than LG Germany, which makes its as official as you're likely to get and the magic number is €349 (that's around £275, $475, AU$500) for a SIM-free handset. At that price it could be hard to 'Beat', although direct conversions are usually not an accurate reflection of a handset's cost in varying markets as different taxes and charges need to be taken into consideration. Either way, the G3 Beat looks set to undercut the likes of the Sony Xperia Z1 Compact, HTC One Mini 2 and potentially even the Galaxy S5 Mini although we're still waiting on pricing for the latter. For your money you'll be getting a far-from-mini 5-inch 720p display, a 1.2GHz quad-core Snapdragon 400 processor, 1GB of RAM, 8GB of internal storage, microSD slot, 8MP rear camera, 1.3MP front snapper and Android 4.4 KitKat. 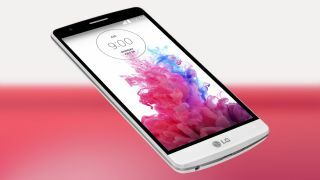 LG said the G3 Beat would be arriving in Europe in the coming weeks at launch, and LG Germany has stated that it'll be in the continent by mid-August. We're still waiting on availability news for the rest of the world however.